THOROFARE, NJ – April 15, 2013 – Checkpoint Systems (NYSE: CKP), a leading global supplier of shrink management, merchandise visibility and apparel labeling solutions for the retail industry, today announced that it is launching MetalPoint HyperGuard, a new digital, software-driven solution that detects the most common tools such as foil bags or magnets used by organized retail crime (ORC) groups to shoplift in stores. 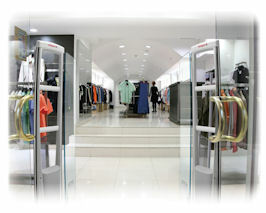 With the latest Global Retail Theft Barometer showing an increase in losses associated with ORC, affecting 47.5 percent of retailers globally, the MetalPoint HyperGuard was developed based on specific retailer feedback and gives loss prevention managers an additional tool to help identify potential shoplifters as soon as they enter the store. The MetalPoint HyperGuard has three detection capabilities: foil bag detection, magnet detection (available May 2013) and metal cart/trolley detection, all of which run concurrently to improve alarm reliability and deter organized criminals from using tactics to avoid detection. A number of features help enhance the capabilities of the MetalPoint HyperGuard software solution. For example, advanced digital 3D-sensing technology detects metal in either foil-lined bags or magnets and determines if a potential shoplifter has entered the store and by which entrance/exit. Metal shopping carts are also identified as such and no longer detected as a threat, thereby reducing the number of false alarms. Now store associates will receive a signal that an individual carrying a common shoplifting device has entered their store, allowing them to take the necessary precautions to avoid potential thefts. The MetalPoint HyperGuard is available immediately.